The achievement of the three is a significant milestone for the Indian military, as this is the first time it has permitted women into combat roles. Today, 158 years after the beloved Jhansi ki Rani died in battle she has been remembered in history as a relentless warrior. On her death anniversary, we remember a woman who chose to take destiny into her own hands and died for a cause she believed in. It is only fitting that a new chapter is added to the women legends of Indian warfare with the first batch of three female pilots — Avani Chaturvedi, Bhawana Kanth and Mohana Singh were inducted in Indian Air Force fighter squadron on 18 June, her death anniversary. Last October, the government decided to open the fighter stream for women on an experimental basis for five years. But combat roles in the Army and the Navy were still off limits due to a combination of operational concerns and logistical constraints. Though the glass ceiling in the defense forces were being gradually broken, the Army and Navy have no plans as of now to induct women into the infantry, armoured corps or artillery, nor allow them to serve on board warships. But in February 2016, President Pranab Mukherjee had announced that all military combat roles will be opened to women in the future. On Women’s Day (8 March) this year, Air Chief Marshal Arup Raha announced that the three women cadets who had all volunteered for a combat role would be inducted in the Indian Air Force on 18 June and were also asked by the Indian Air Force to delay motherhood for at least four years after they get commissioned. On completion of successful training at the Air Force Academy in Dundigal on the outskirts of Hyderabad, the trio was formally commissioned into Indian Air Force by Defense Minister Manohar Parrikar. The first women to be commissioned into fighter stream in IAF, they were the centre of attention at the Combined Graduation Parade. The women, who broke barriers to etch their names in the history of the Indian Air Force, will get to fly fighter jets like Sukhoi and Tejas next year after completion of stage-III training at Bidar in Karnataka. The three will begin advanced training on advanced jet trainer Hawks. It will take another 145 hours on the Hawks for almost a year before they would actually get into the cockpit of a supersonic fighter. Avani Chaturvedi, hailing from Satna, Madhya Pradesh, comes from a family of army officers. She was inspired by her brother who is also in the army. She always wanted to fly and joined the flying club of her college. Bhawana Kanth hails from Darbhanga in Bihar. As a child, she always dreamt of flying planes. She opted for the fighter stream after successfully completing her stage I training. Daughter of an officer in the Indian Oil Corporation, she set for herself the goal of becoming a fighter pilot to serve the nation. Mohana Singh comes from Jhunjhunu, Rajasthan. Her grandfather was a flight gunner in Aviation Research Centre and father is a warrant officer in the IAF. Mohana is excited to continue the family legacy of serving the nation. “Joining the Indian Air Force for flying was a dream instilled by parents and grandparents,” she said. 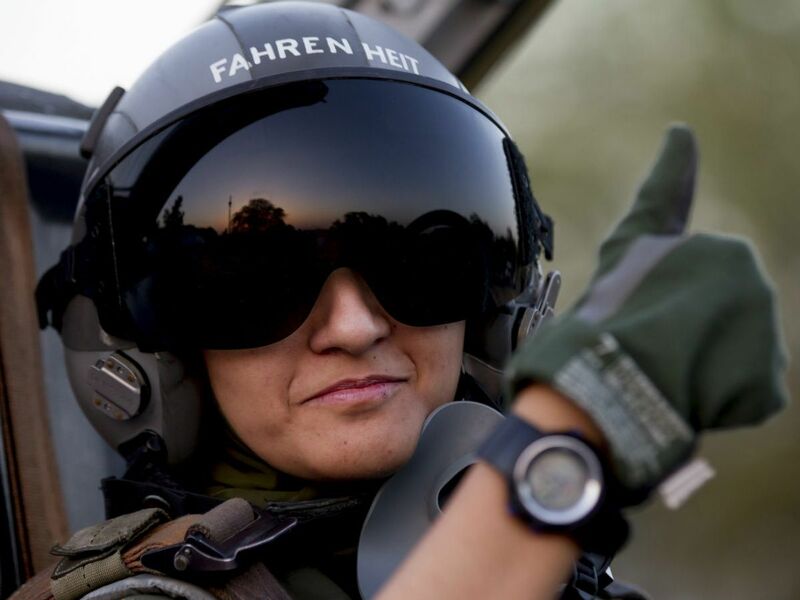 "We are lucky to have been the first three women fighter pilots. It could have been anyone else," said the three brilliantly beaming women dressed in Indian colours.